We are live on Indiegogo! Product shipping starts in May 2018. Alerts Don’t Work, Popit Does. Once alarms become routine, they’re not all that helpful. Popit isn’t another alarm notification that you’ll learn to ignore. Snoozing and forgetting later, no more. 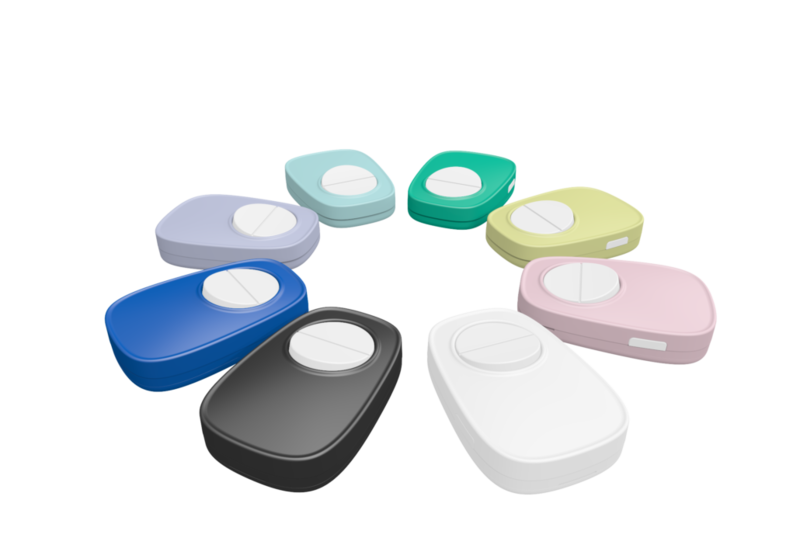 Popit is connected to your actual pills, so it notifies you automatically when you didn’t take a pill, forming the habit of taking them at the exact same time every day. How does it work? 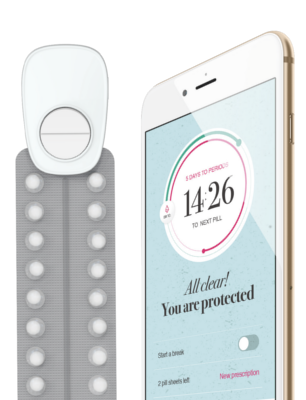 Popit can detect when you took the pill with the help of patented technology and several sensors. 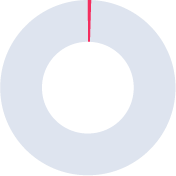 That’s what typical ‘forget-once-in-a-while’ birth control pills stats look like. Forgetting even once a month seriously raises your chances of pregnancy. * Trussell J. Contraceptive failure in the United States. Contraception. 2011;83(5):397-404. doi:10.1016/j.contraception.2011.01.021. ** Waugh, Michael S, et al. “Use and Misuse of Oral Contraceptives: Risk Indicators for Poor Pill Taking and Discontinuation.” Contraception Journal, vol. 51, no. 5, 1 May 1995, pp. 283–288., doi:10.1016/0010-7824(95)00074-k.
Portable & small, strong grip that works with any blister pill pack. Birth control pills are just one example where you can use Popit Sense. You can clip it on to different types of pill packs. It’s great for the elderly, too. You’re Ready to Maintain & Strengthen Control. Popit Sense uses three sensors; acoustic (there’s a mic), accelerometer, and touch. These three sensors combined provide an accurate measurement. The technology is patented. Why is it better than a reminder app or smartphone alarm? I use those all the time. Both are great ways to remember medications better, but they do not track anything. They also do not know if you took the pill or not, triggering an alarm even if you already took it. 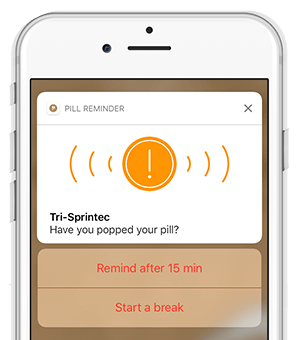 Popit Sense is an evolved version of the pill reminder, automatically tracking if a pill has been taken and syncing this information with the app. 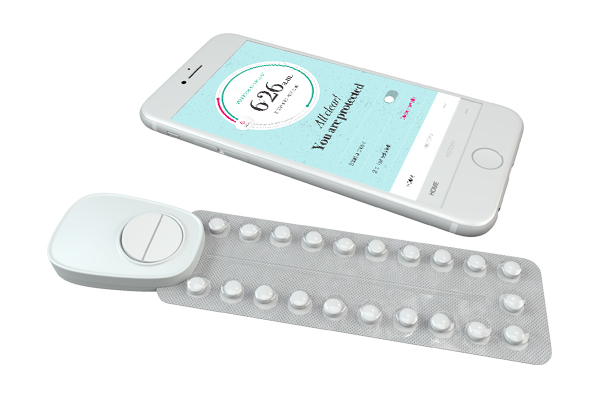 Popit Sense is connected to your actual pills, meaning it understands your context: pill consumption is automatically recorded in the app and a reminder will go off only if you didn’t take the pill. We have preliminary data from our clinical pilot that shows the solution reduces missed pills by nearly 80%. Popit Sense quantifies pills and brings them to the digital age. Does it work with different medications? Yes! 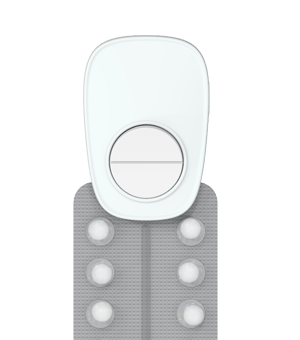 The same device works with various pill brands – but they need to come in blisters. The blister pack will just need to have a bit of space on the edges to allow attachment. Does Popit Sense need to stay close to my phone in order for it to see that I took a pill? No. The Bluetooth range on Popit Sense is very good, about 30m / 100ft. This means that in a normal apartment the smartphone can easily connect to Popit Sense when it needs to, so the two do not need to be right next to each other. Even if the two would not be able to connect, Popit Sense stores up to several months of data which get synced when the two get back in contact. Will I miss my pill if Popit Sense cannot connect to my phone? 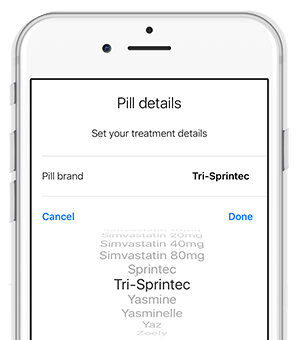 If for some reason the app would not have received information from Popit Sense about your pill status, it will trigger a reminder as a backup measure. This means data not being in sync will not make you miss a pill. 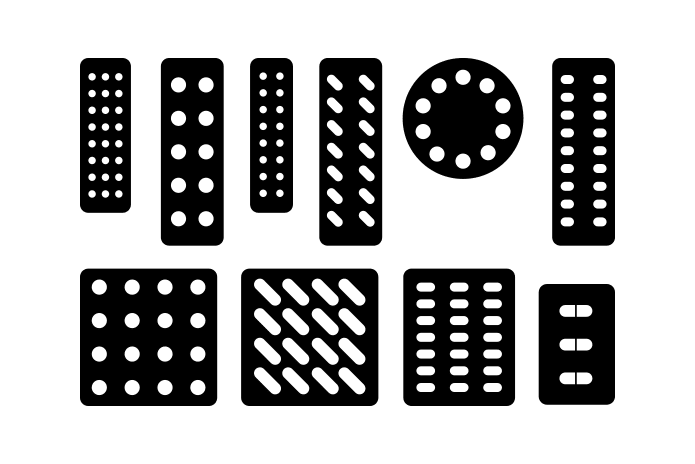 Does it fit all kinds of pill packs? You just need to make sure your pill sheet has about 1/4 – 3/8″ (or 6-9mm) free space anywhere on the edges to attach Popit Sense. Most rectangular and round sheets have this. 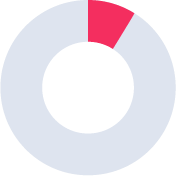 Some brands have a hole in the middle, which can also be used for attachment so that Popit Sense will actually be in the middle of the sheet. How about wallet-type packages with cardboard? Some pill brands, like Yaz, or Qlaira on some markets come in a cardboard wallet. We have successfully used Popit Sense with these as well, but in some cases the cardboard might be a bit thick for Popit Sense’s opening. That can be overcome by pressing the cardboard a bit tighter or peeling it off a bit. Will it come off in my bag? The attachment is quite secure. There are two metal spikes that pierce the sheet so it stays attached. This is what the button on the top is for, to open or close the attachment mechanism. Can I use one Popit Sense for many medications at the same time? You will need one device for one medication, two for two, etc. What if I take too many pills at once? The app will notify you if you took more than you should have. Does the mic listen in on what I do? No. It’s not the kind of mic you use to sing My Heart Will Go On in karaoke. This is a contact mic that senses vibrations, as opposed to a non-contact kind.